Every morning I go for a walk, and this is what I see. I live in Dearborn Heights, Michigan. I’ve been everywhere. All seven continents, lived around the U.S. and outside the U.S. But this is home. For better and for worse, this is home. Dearborn Heights is next to Dearborn, an oddly shaped city that surrounds Dearborn itself. I wanted to live in Dearborn when I moved back here from California, but I missed Dearborn by about four city blocks. I can see it right up the road. Dearborn is generally considered a slightly better city than Dearborn Heights. Better city services, larger city government (which isn’t always good) and hometown to Ford Motor Company. Having Ford in Dearborn is important because they give back so much to the city. They built a community center, maintain vast areas of real estate and contribute to The Henry Ford, a large museum complex in the center of Dearborn. 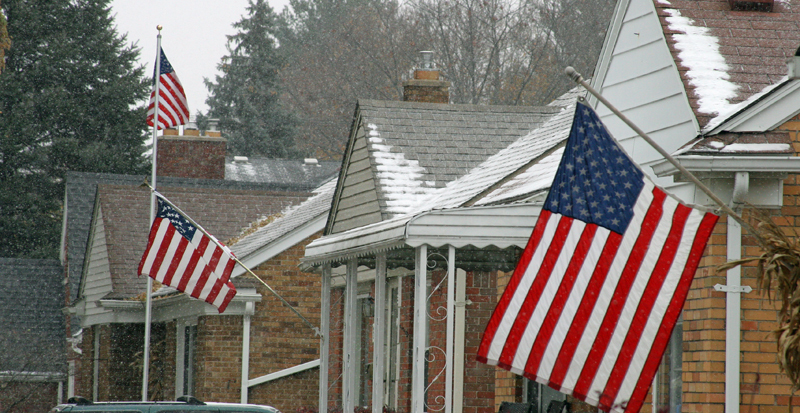 Dearborn is also home to one of the largest Arab-American populations in the U.S., another thing that adds to its diversity and uniqueness. It’s an international small town. In Dearborn and Dearborn Heights everyone knows each other. When I moved back I called a good friend named Mark, who is a local teacher and the most solid of guys. He knows everyone. I told him I needed a place to live. He called a friend, the friend called me, and half an hour later I had a big house to live in for half of what I was paying for a three room apartment in California. There was no paperwork, no application, no red tape. That’s a big part of why I live here. We get stuff done here. My neighborhood is strange. It has one foot in the recession that destroyed Southeastern Michigan and drove Detroit to bankruptcy and another foot in the economic recovery. We were first to enter the recession and are slow pulling out because we hit bottom so hard. The two houses you see above are an example. They are right across the street from one another. One is a new, beautiful house with a Cadillac in the driveway, the other pretty run-down with an older Ford F150 and a Saturn, one of the companies that went bankrupt, in the driveway. One foot still in the recession, one foot in recovery. Houses can be cheap here. Some sold for $30,000, which is about what mine might have been worth. They were mostly sold out of foreclosure. Some still remain, but property values are climbing and old houses are being fixed up or torn down, and new ones built. There are more than a few Gadsden flags here. The Gadsden flag is a historic U.S. flag from the American Revolution in 1775. It symbolizes what some people feel is a need to return to older, more original American values. It has a clear message of defiance on it: “Don’t Tread On Me”. The Gadsden flag isn’t particularly endearing. It suggests rebellion. These people don’t want government telling them what to do. The Gadsden flags are a little ominous. A little… too much. I worry that the people who fly them may be so connected to older ideas they aren’t willing to consider new ones. But they still fly here, not too many, but enough to notice. The yards in my neighborhood are enormous. There is plenty of room between houses so no one feels cramped, and when we see our neighbors we actually value chatting with them since we aren’t all crammed together. In California so many of us lived so tightly packed together all we wanted was privacy and solitude. Here we have room to breath. Because we have a lot of room between houses and nice trees we have two kinds of friendly squirrels, the exotic black squirrel and the more common red squirrel. They are quite tame and if you feed them long enough on your porch they will let you pet them. My cats sit in the window every morning to check on the squirrels. A lot of people here work in the car industry, mostly for Ford Motor Company because their huge manufacturing facilities are close to here and their world headquarters is nearby. Because of that we mostly drive Fords here. There are three kinds of Fords you see commonly: The old, used Ford like I have. People usually paid cash for these. The very new, super nice Ford that someone gets from their job at World Headquarters as a company car. That’s a big perk around here. And there is the new Ford that someone bought and is paying through the nose for. Those are the ones we make money from, so God bless those people. This is what our houses mostly look like. Mine isn’t this nice, but pretty close. Depending on where you live this is either a pretty modest house, if you are reading this from Los Angeles or Mission Viejo, or it is an absolute palace if you are reading this from Mogadishu or Bangladesh. The truth is, this is all the house we need. People raise three and four kids in these. I live in mine with just my two cats because I like to have plenty of room to myself. I often tell myself that when I am earning big bucks as a famous author I will still live here, but travel around the world frequently and hire someone to come to my house and look after my cats when I am away on trips. I used to do that, and my friend Mario looked after my cats, before I lost everything in the recession. We rake our leaves into the street during fall and men in trucks from the city come to pick them up. When I was a kid we would have huge bonfires in the street but we stopped that because of the smoke. 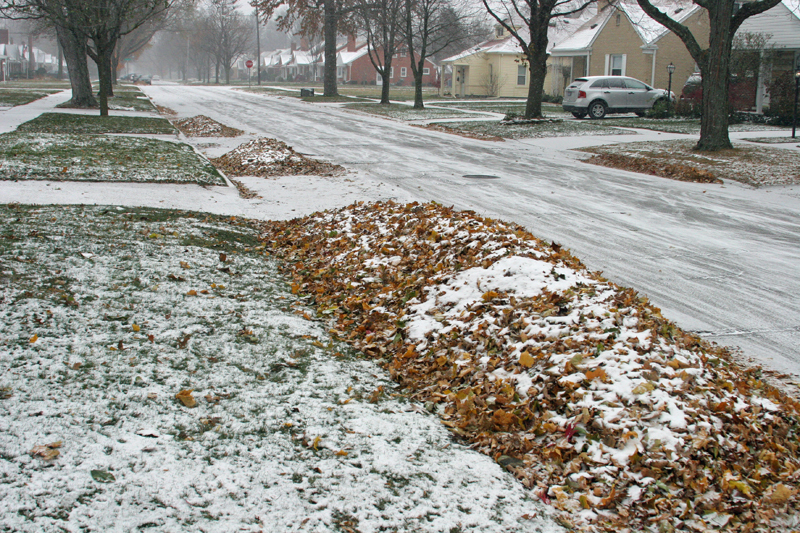 This year the snow came before the leaves are all down so it looks like we will have another long, cold, snowy winter. The streets and sidewalks here are wide and spacious. We don’t have traffic jams. When people need to pass in a tight spot going opposite ways, one person knows to stop and let the other through. Since there is not much traffic it is a great place to run and ride outside. When I run I just run right out in the street, like I were in a race. That is impossible in a lot of places. 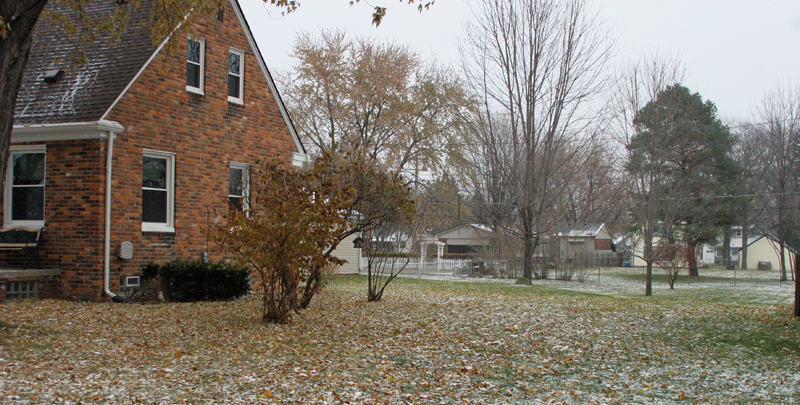 Winter is here in Dearborn Heights now and it is cold and grey, which I like. Having seasons is important since it places clear boundaries between years. Our lives are delineated in time segments that are synchronized with the seasons; in summer we spend time outside, in the fall we have Halloween and Thanksgiving. The leaves turn and the first snow falls. Kids go back to school and business quiets down before the holiday rush. 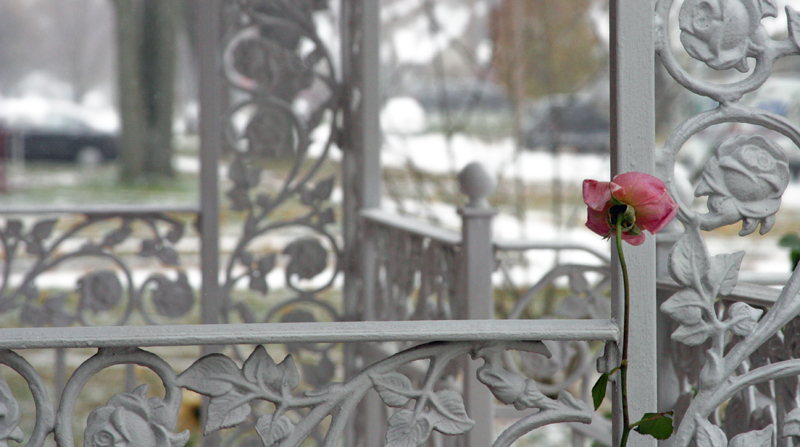 The winter settles in, and it is three rough, cold, dark months. Then spring comes. In spring 40 degrees feels like 70 degrees. We look forward to the sun because we don’t see it all the time. Rain falls, thunder comes, the moon shines and the grass grows. Leaves come out and trees fill in, absorbing light and sound and making our neighborhood quiet and restful. That is the extent of what I see on my morning walk. It is neither exotic nor exciting. It is home and it is filled with real people living a real life that makes up the fabric of the American Midwest.